Luckily there are a great number of mobile phones available that suit most people’s wallets, and not everyone even needs the most powerful and feature packed smartphones anyway. 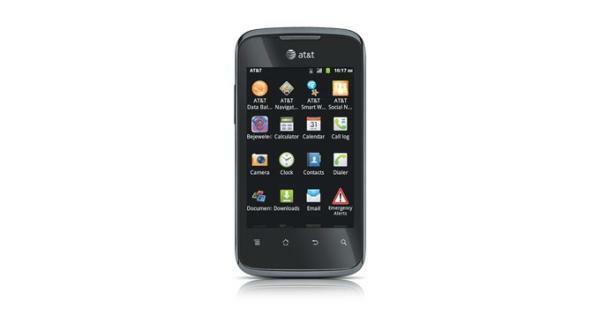 There are a number of cheaper alternatives available that still offer some useful features and today we are looking at the AT&T Fusion 2 GoPhone U8665 with some user reviews to help you decide if it’s the right phone to buy. The device is one of the latest handsets to go under the GoPhone brand with the handset being made by Huawei. The device is obviously aimed at the budget end of the smartphone market and you can pick one up now from the carrier for $99.99. For your money you get a handset that runs the Android 2.3 Gingerbread operating system with a 3.5-inch touchscreen display and 320 x 480 pixel resolution. This is powered by a dual core Qualcomm MSM7225A-1-AA 800MHz processor coupled with 512MB of RAM. There is also a 3.2 megapixel rear facing camera with 4X zoom that is also capable of video capture, and you will also find GPS with 3G, Bluetooth, and Wi-FI connectivity. There is 2GB of onboard storage but this can be expanded by a further 32GB via microSD card, and users will also find Facebook and Twitter applications pre-installed. The Fusion 2 is also available to purchase from the likes of Amazon and Best Buy as well for the same $99.99 price, and a number of users that have already purchased the Fusion 2 have been giving it largely favourable reviews. Some have mentioned experiencing issues with the touch screen in humid conditions, but others are saying the device is a perfect entry level smartphone. Are you looking for an entry level handset this Christmas?